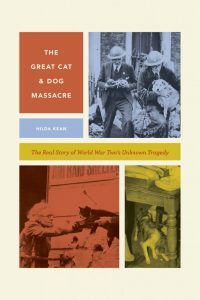 I recently wrote an article from my book, The Great Cat and Dog Massacre, for Cats Protection of which I am a member. It’s used some good images and format. I have included information about the killing of some cats but also that many people were highly sympathetic towards their cats. I noted that civil servants explained that cats were consuming at least 18,000,000 gallons of milk a year.Nonetheless they argued that it was ‘quite impracticable’ to attempt to criticise an owner sharing milk with their cat. Adverts from cat food tins did continue. If you are into cats and are a member of Cats Protection have a look at the summer magazine of The Cat.